The service will feature Bairstow’s Evening Service in E flat and Hilton’s “Lord, for thy tender mercy’s sake”. Details on upcoming services in October are available on the Choir’s home page. 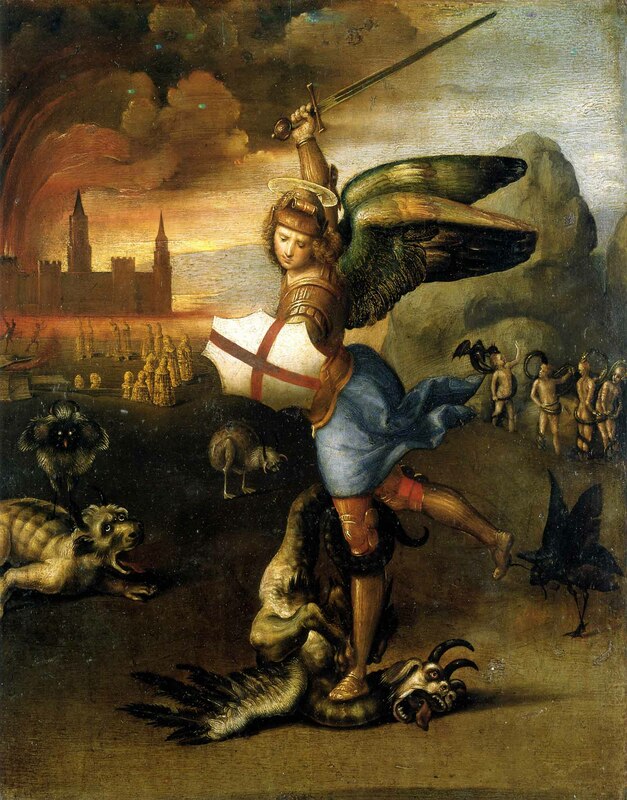 St Michael and the Dragon, by Raphael (1483–1520).